Nonetheless, this conclusion and subsequent commentary on this case does require some careful comment. So what is the origin of this case? The origin of this brief report was the fascinating video of an interview with a cardiac surgeon, Dr. Lloyd Rudy, which was uploaded onto the internet at the popular YouTube site on 27 July 2011. This was an interview entitled “Famous Cardiac Surgeon’s Stories of Near Death Experiences in Surgery” with as subtitle, “Dr. Lloyd Rudy, a pioneer of cardiac surgery, tells stories of two patients who came back to life after being declared dead, and what they told him.” Interested readers can view the video by clicking the link below. It is curious that neither of the surgeons saw fit to publish this unusual clinical episode in any scientific journal. Furthermore, many details have been lost with the passing of time and the demise of Dr. Rudy. So what are the bare facts of the case as reported by Dr. Rudy, and confirmed by his assistant, Dr. Amado-Cattaneo? This experience took place some time during the end of the 1990’s and the beginning of the 2000rsquo;s (page 184 in Rivas & Smit 2013). The person reporting the experience was a man who underwent an operation on a malfunctioning heart valve. At the end of the operation, it was impossible to stop the cardiac bypass support. So in accordance with local and national protocols, they terminated cardiac bypass support, and declared the man dead. A surgical assistant was delegated to close the chest and other wounds. At the termination of bypass, all heart action and respiration of this man ceased. The monitoring machines kept recording because they were not turned off. Dr. Rudy and Dr. Amado-Cattaneo stood in the doorway discussing the case. They talked about how this came to be, and what they might have been able to do to prevent the occurrence. About 20-25 minutes after cessation of heartbeat, the heartbeat monitor started registering a heartbeat. They were successful, and the man recovered heartbeat and blood pressure. He was transported while still unconscious to the intensive care unit where he regained consciousness after a day or two. Upon regaining physical consciousness, the man describe undergoing a near-death experience (NDE) during which he told of undergoing an out-of-body experience (OBE). During this experience he underwent a tunnel and light experience. He also told of floating out of his body, described the operating theater, as well as seeing Dr. Rudy and Dr. Amado-Cattaneo standing in the doorway. He described seeing the anesthesiologist come running into the operating theater. He also described seeing small Post-it notices stuck to a monitor. This latter fixes the time period during which he underwent this experience to a point after he recovered heartbeat. His eyes were taped shut during the operation to protect his eyes. Neither Dr. Rudy nor Dr. Amadeo-Cattaneo could explain how all this experience and spontaneous return of heartbeat after 20-25 minutes without circulation or respiration could occur. Furthermore, they could not explain how he could have “seen” the Post-it notices stuck to the monitor next to the operating table, because his eyes were taped shut during the operation. Nonetheless, there are explanations based upon medical science, and I will detail these below. But what are my reasons for publishing on the internet instead of in the “Journal of Near-Death Experiences”? Reasons for publishing this examination of this article here are the long turnaround time of the “Journal of Near-Death Experiences”, (sometimes up to two years), as well as the limited readership of this journal. This report deals with a rare experience whose nature is readily subject to misinterpretation. The fact these surgeons, as well as Titus Rivas and Rudolf Smit did not understand, or could not explain how this experience could have occurred means very little. It simply means they could not explain this experience — it does not mean other experts or physicians cannot explain this experience. So their inabilitity to explain this experience does not automatically mean it has a spiritual or paranormal explanation. This fact was first expressed by the nineteenth century evangelist Henry Drummond in the well known “God of the Gaps” statement, and most recently in a similar and equally pithy statement written by a journalist, Gard Simons, in a national Dutch newspaper called “De Volkskrant”. However, this experience is readily explicable with known, albeit rare, medical phenomena. There is an unusual medical event called the “The Lazarus Phenomenon”. The “The Lazarus Phenomenon” is a situation where a person spontaneously recovers heartbeat, blood pressure, breathing, and consciousness after periods of absent heartbeat lasting sometimes as long as 26 minutes (Quick 1994). This phenomenon was known and reported during 1994 (Quick 1994)—a period dating before this man was operated and spontaneously recovered heartbeat after 20 minutes of absent heartbeat. Subsequent reviews of this phenomenon covering more than 38 such patients in 1998 (Adhiyaman 1998), and during 2007 (Malek 2007), also seem to have escaped the attention of those involved with describing and reporting this case. There are multiple explanations for the surprising neurologically intact survival of several of these persons. In some situations, the reason for spontaneous return of circulation is unknown due to lack of details, but that does not mean a paranormal cause. 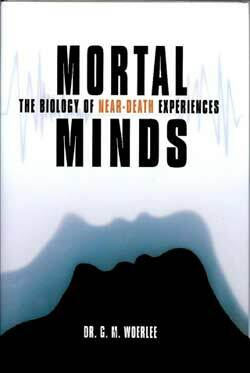 So this fascinating report by Lloyd Rudy is one of the rare, but known cases of the “The Lazarus Phenomenon.” But what of the near-death experience (NDE), and the out-of-body experience (OBE) reported by this man? The properties of the non-localized consciousness, the human soul, or whatever you want to call it are well defined by Chris Carter, Sam Parnia, Pim van Lommel, Raymond Moody, Jeffery Long, Ferdinand Schiller, William James, the Bible, The Quran, Hindu holy texts, etc, etc. According to all these people and belief systems the human soul (for want of a better word) is: invisible, immaterial, continually conscious, the indelible repository of all memories, can see with physical visible light, and can hear physical sounds. Interested readers can read why these persons attribute these properties to the soul in Chapter 1 of “Illusory Souls” by reading the free “look inside” by clicking here. All the above persons and belief systems claim that the soul is the indelible repository of all memories. “Illusory Souls” reports the results of a truly vast amount of human research on the effects on memory of oxygen starvation (Chapter 4:4.51-4.84), low concentrations of anesthetic gases (Chapter 6:6.36-6.56 & 6.109-6.134), midazolam (Chapter 7:7.72-7.78), and anesthetic awareness (Chapter 10:10.65-10.93). References to scientific journal supporting this research encompass tens of pages. The inescapable conclusion from this research is that the human soul possesses no memory, and is not the indelible repository of memories—the physical brain is the repository of all memories. Accordingly, this man was physically conscious when he made these observations, even though he appeared unconscious, and had these experiences, as well as possessing sufficient brain function to lay down memories to be recalled after regaining evident physical consciousness. The appearance of unconsciousness is not proof of absent consciousness. In fact there are many situations during which people appear unconscious, but are actually conscious and able to make observations of their surroundings. See Chapters 2 and 12 of “Illusory Souls”, paragraphs 2.42-2.114, and 12.53. Accordingly, the transcendental hallucination of light was a hallucination. The soul is immaterial and invisible, which is why it cannot see with physical light, or hear with physical sound (see “Illusory Souls”, Chapter 14:14.25-14.47). Accordingly, the man was conscious and heard the veridical sounds of speech, and physically saw, or heard about the Post-It notes stuck on the monitor. As regard the eyes being taped shut, (normal practice during general anesthesia), the tape is always removed before departure from the operating theater. This man had just survived an unusual, and nearly always fatal episode, so it is very possible his eyes were opened to check his pupil size before departure from the operating theater. This latter is one several explanations for his observation of the Post-its. Psi, or any paranormal abilities do not explain these observations, because the soul and the body possess no paranormal perceptive abilities, as is clearly proven by the experiences of: blind people (“Illusory Souls”, Chapter 13:13.30-13.40), as well as the fact that the manifestations of drug addiction clearly prove the absence of psi abilities in the soul or the body (“Illusory Souls” Chapter 3:3.72-3.124). The inevitable conclusions is that this man and his doctors reported a rare occurrence of the “Lazarus Phenomenon” together with an NDE / OBE with veridical observations. Careful examination of known medical knowledge and physiology explains all aspects of this story—changing a seeming wonder encapsulated in a brief and threadbare report, into a rare, but explicable experience and observation. Adhiyaman V, et al, (2007), The Lazarus phenomenon. Journal of the Royal Society of Medicine, 100: 552-557. Malek WH, et al, (1998), Unexpected return of spontaneous circulation after cessation of resuscitation (Lazarus phenomenon), Resuscitation, 39: 125-128. Quick G, Bastani B, (1994), Prolonged asystolic hyperkalemic cardiac arrest with no neurologic sequelae. Annals of Emergency Medicine, 24:305-311. 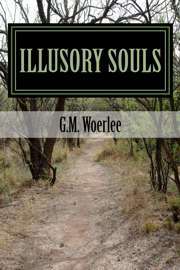 Woerlee GM, (2013), Illusory Souls, published as paper and in electronic Kindle format by Amazon at this web address.